‘Hey you, get out of there, how dare you have fun’ shouted nobody. 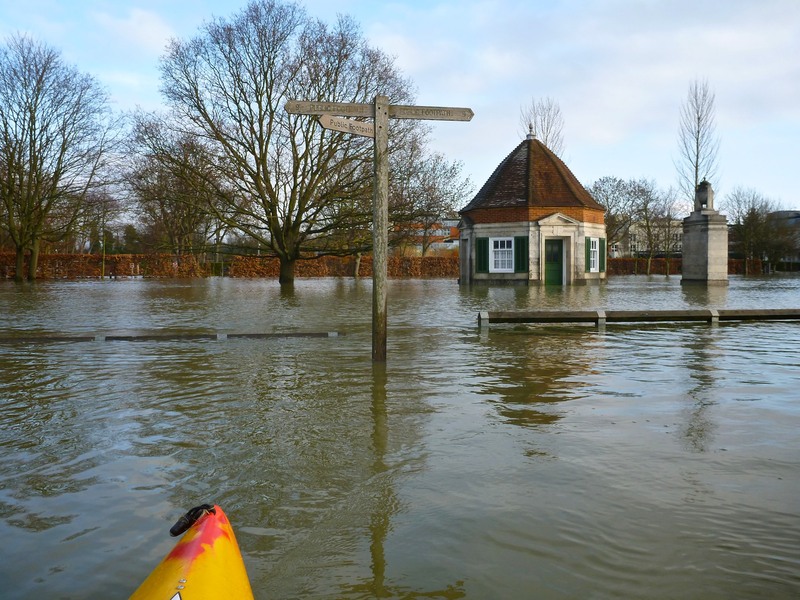 For once I have moral justification; the Thames is too dangerous to paddle and my own home is inches from going under, yet nobody challenged the fact that I was overtly enjoying myself while all around people suffered the worst floods in 22 years. To be fair, our place is pretty grim at the moment, with the former contents of various cesspits bobbing happily past our back door and the garden transformed into a putrid pond, but at least it’s still dry indoors. Which is more than can be said for most of the neighbourhood, including the historic green at Runnymede where King John signed the Magna Carta in 1215, laying the foundation for law throughout the English-speaking world. Today the dog walkers and tourists are absent, having been replaced by flocks of incredulous seabirds and an idiot in a yellow kayak. I put in beside the A30, just down from the Ferrari garage, swapping my usual buoyancy aid for jeans and wellies before pushing off from the frosty bank. 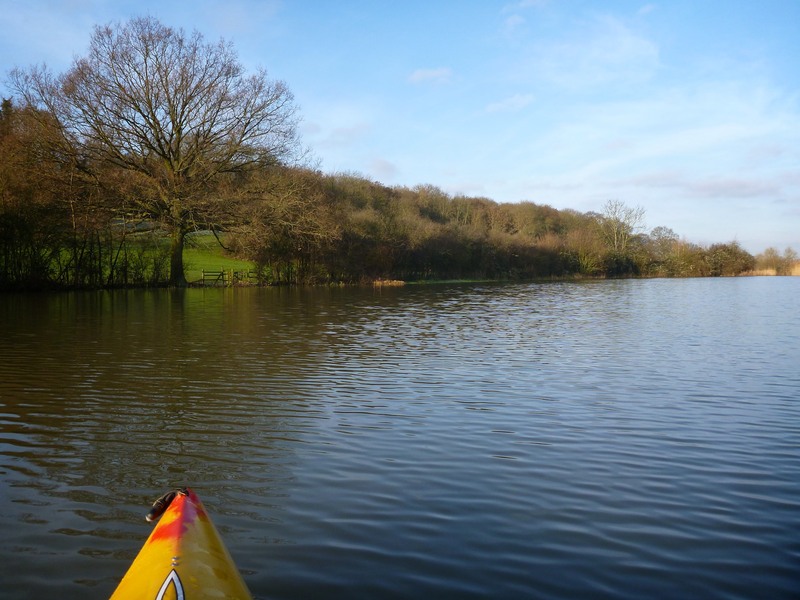 The Runnymede green is a vast expanse of open water and I can’t shake the feeling of surreal trespass as I float past hedgerows and trees. 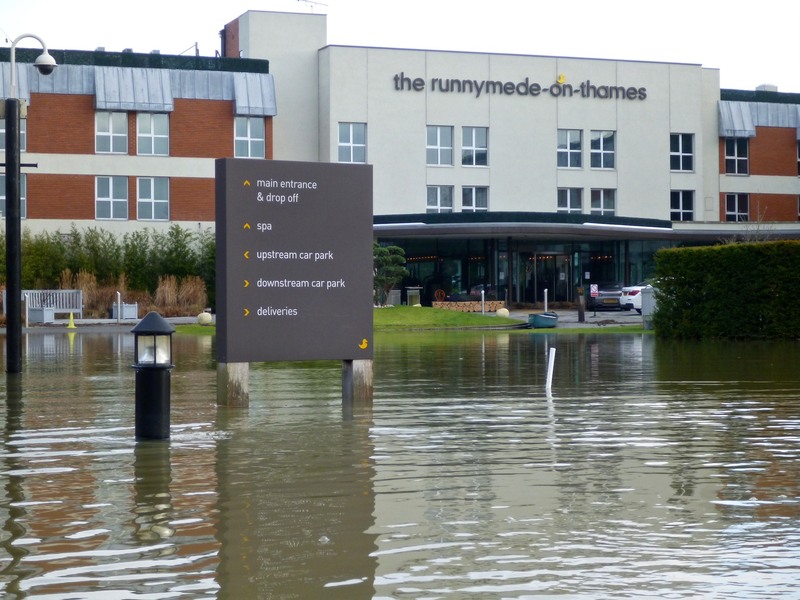 The prospect of paddling down an actual road is just too tempting, so I swerve by the Runnymede Hotel and do a lap of their car park. Incredibly there are folk inside, a small handful of cars pulled up to the last patch of dry tarmac outside reception, but I can’t help thinking how badly their business must have suffered over the past week. 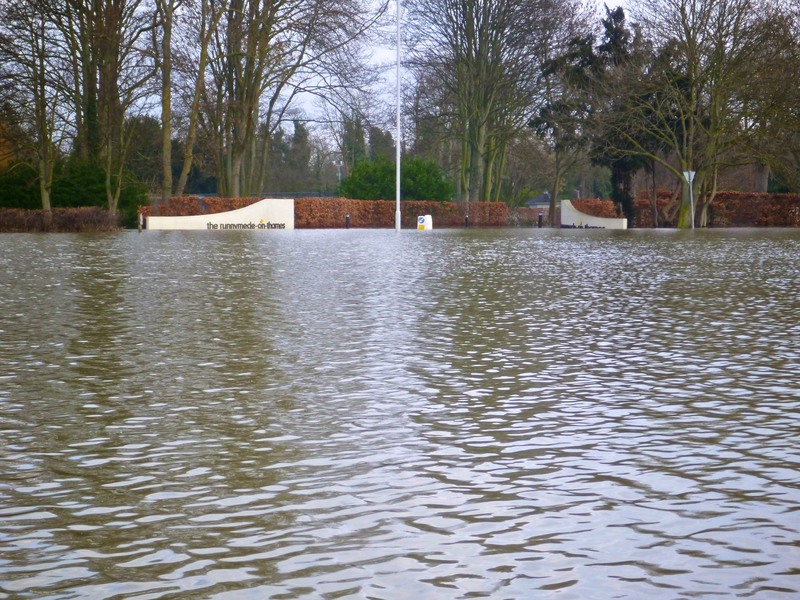 The flow this close to the Thames is stronger, so I head back to the car via the green. Thought for the day: when life throws you lemons, make lemonade.